Garlic (Allium sativum), is one of the oldest cultivated plants in the world and has been grown for over 5000 years. “Let your food be your medicine, let your medicine be your food”, Hippocrates. In ancient Greece we find garlic mentioned in Aristotle’s writings, who mentions that it was used as a tonic but also as a laxative. He also mentions that when there was a new moon, people would leave offerings which would include things like bread, garlic, eggs, and cheese to the kthonian goddess Hekate (Ekati), the Queen of the Underworld. 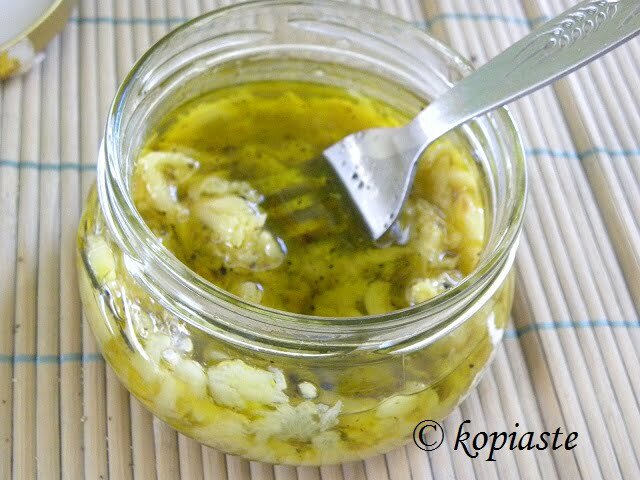 During the archaeological excavations of the Palace of Knossos (Bronze Age era), the archaeologists found garlic. The ancient Greeks ate a lot of garlic and used to call it “The Stinky Rose”. Ancient Greek athletes competing in the earliest Olympic games did not turn to steroids to enhance their performance, but to garlic. Greek soldiers were fed garlic before going into battle, to give them courage and increase the odds of victory. Hippocrates is considered the father of medicine and is the greatest healer that ever lived. He knew 2500 years ago that it was a miraculous, ideal food which was super-nutritious but also a medicine. He prescribed garlic to fight infections, for protecting the skin, he used garlic vapors to treat cervical cancer, he recommended garlic as a remedy for toothache or as a diuretic but also for many other illnesses. In modern medicine, garlic has many active components that contribute to its health benefits, one of the primary being allicin. This compound is responsible for the herb’s pungent aroma and forms when you crush the garlic and expose it to air. To obtain the maximum benefit, it must be consumed raw. Cooked garlic loses its antibiotic property but still retains a lot of its health benefits. Garlic is a super anti-oxidant and it prevents certain types of cancers, including prostate, skin, esophagus, and stomach cancer. It helps regulate blood sugar metabolism, stimulate and detoxify the liver, and stimulate the nervous system and blood circulation. Garlic thins the blood as effectively as aspirin. Finally, it prevents hardening of the arteries by relaxing them and helps prevent calcium from binding with other substances that lodge themselves in plaque that can block blood vessels. I remember when I was younger I would hate garlic and how it smelled and rarely used it in my recipes. However, as years passed, I have grown to love it, although I still continue not to use too much when using it raw, as now my children don’t like it. If you are also one of those people who hate the smell of raw garlic, you should try roasting it before using it, as by roasting it, it mellows and brings out the sweetness of garlic. It will boost flavor and nutrition in all sorts of dishes without it’s awful smell, adding a smoky or roasted flavor to the intended recipe. Roasting garlic will help boost intensity and a depth of flavor into your dishes that is really quite amazing. Because garlic has so many health benefits such as lowering cholesterol, preventing cancers, and much more, it’s also a great way to include more garlic into your healthy lifestyle. To save on energy, roast garlic one day when you are baking another dish. You can substitute any dish having raw garlic with part raw garlic and part roasted garlic. If you totally hate garlic and never use it, try using roasted garlic and gradually increase the amount used. To preserve the roasted garlic, I always use extra virgin olive oil to cover it, as olive oil is a preservation. When I use it all, I have leftover garlic-infused olive oil, which is deeply flavorful, to use in my recipes. I keep it in the fridge, and use it in many recipes. Cut the top of the garlic bulb off. Loosen any of the outer layers of skin. Place garlic on foil and cut off about 1 cm from the top. Drizzle a couple teaspoons of olive oil over each head and sprinkle with salt. Wrap the garlic in foil loosely. Bake for about 45 - 50 minutes until tender and the cloves feel soft when pressed by hand or stick a cocktail stick or knife in it to see if it’s tender. When you can be handle it, squeeze garlic from skin. Place in a clean, sterilized jar and lightly mash with fork to flavour olive oil or leave the cloves whole. Add salt and crushed peppercorns and extra virgin olive oil to fill the jar. Store it in the refrigerator. Each time removing some garlic and olive oil make sure that you replace the olive oil used, so that it is always covered in oil. Mmmhhh, I love garlic! Roasted it tastes even better. That is a wonderful post. Oh Ivy, I really like the tip on making garlic olive oil. I usually crush fresh garlic in my salad dressing. My family is a huge fan of garlic. I also like to roast garlic, but I usually just spread it on bread or a pita. Now I have a new way to preserve garlic. We have so much garlic and can’t possibly use it fast enough. This is perfect! I am a garlic lover in all forms – even raw! Roasted garlic is a wonderful thing to have on hand. O, Ivy, I prepare roasted garlic exactly by such method., only not cut off the top of bulb. it’s a wonderful addition to any vegetable spread/ saute/ vegetable soup/white cheese. Another advantage of such garlic – that this does not leave the specific “scent” after eating. Thanks for the info Ivy. It will help a lot, since I like garlic and I have a huge problem in preserving it. This is such a great post! Many of us doesn’t know the benefits given by garlic. And some of us, do not want the smell of it too. But for me, I swallow a glove of garlic when I feel like I do have hypertension. And I also use it as nail hardener. and i am so happy I came. Didn’t know it is that easy to make it. thank you so much for these wonderful step by step pictures!